Happy Guests Make You More Money - Casiola: vacation home management you'll love! Every guest rules at Casiola, and we work very hard to make them happy! Good guest experience is vital to trigger the best marketing there is, word of mouth. Good reviews is our way to share with the word (family and friends, at least) how much we enjoy something. So we go an extra mile to make your guests feel like home, “a vacation home you’ll love!” as our slogan says! 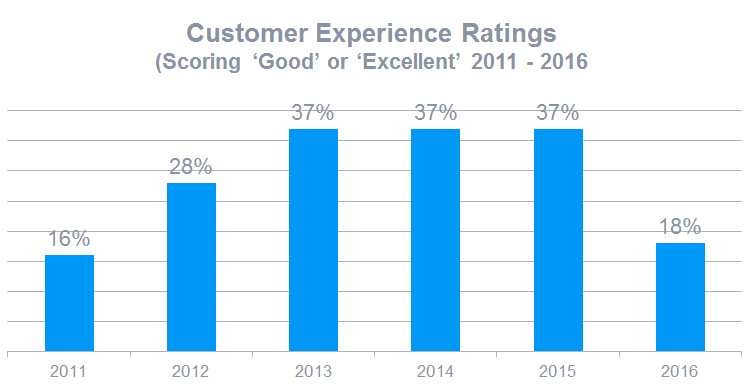 Here is how important guest experience is in the review process. On the no so good side…. Guest reviews can make or break your vacation rental income potential. It takes a trained team to deliver the best guest experience! That’s why having the Casiola team by your side makes everything easier. Your unit will earn great guest reviews without you having to lift a finger. Providing excellent customer service and communication to guests and potential guests. Always being able to answer the phone for guests’ questions and concerns. Offering more value than the vacation home next door. Ensuring that high quality standards are being met by everyone who prepares for guests’ arrival, interacts with the guests, and helps the guests complete their stay. Casiola’s team is dedicated to quality customer service that goes above and beyond. We provide real-time bookings, communicate through several platforms, and offer 24/7 emergency services. Our team will take a guest’s call within three (3) rings and our goal is to answer their questions and address any issue during that call. We partner with local attractions to deliver convenience and discounted prices to your guests. Our multilingual staff ensures clear and easy communication with guests. We provide all the information guests will need, along with tips for travel, about the neighborhood, and transportation, so that guests are taken care of and leave happy. Excellent customer service from booking to check-out, without the owner having to coordinate or arrange anything. Getting referrals and repeat business from happy guests. Happy guests leave great reviews for the property. Great reviews lead to more bookings and higher rates! Higher rates produce guests that care for your property. We have years of experience in the industry, and our multilingual staff is available 7 days/week to make any guest’s stay a five-star experience. We arrange everything for the guest’s stay and handle all contact with the guests, allowing owners to rest assured that their property and guests are in excellent hands. We offer more perks and services than our competitors, helping us to stand out from the crowd. We make sure that all property listings communicate the high value of your property and are maximized for guest appeal so that you can get more bookings rave reviews.